“Cute skirt,” said the women at the office. Yes, I’m over 50 and still wearing strappy sundresses. However, I’m not wearing them solo. 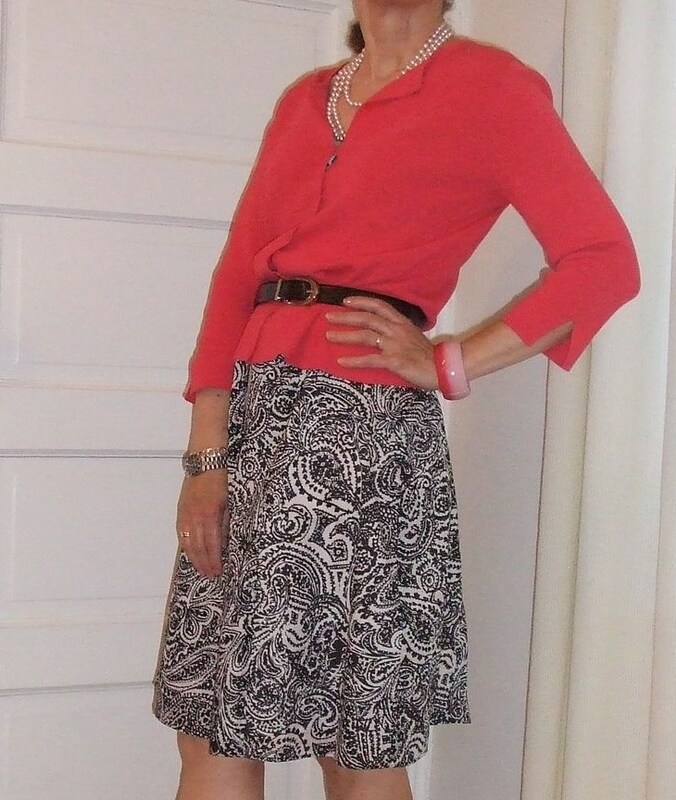 Instead, I’m repurposing my sundresses by creating faux skirt looks with lightweight sweaters and accessories. Repurposing my sundresses satisfies the frugal fashionista in me, who hates to stop wearing a garment that is in good condition and still fits. Also, layering a sundress with a sweater offers warmth in the office, where the air conditioning is always blasting, as well as on cooler days in August and early September. Finally, mixing up sweaters and accessories with sundresses offers a variety of outfits, which I always appreciate. Instead of giving a Gap - Women's Clothes sundress the heave-ho, I’m pairing it with different sweaters and scarves. Recently, I chose a trendy mint green pullover (above). 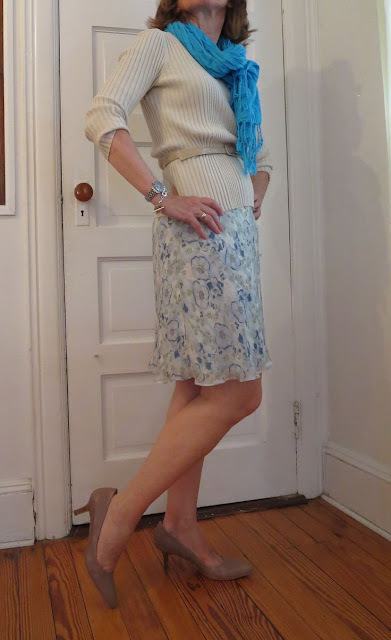 I’ve also paired it with a beige cable sweater and a turquoise scarf (below). When I'm heading out for a casual dinner on the waterfront, I'll pair the same dress with a lightweight navy cardigan and a jean jacket. Here’s what I did with a black and white sundress a while back. The hot pink sweater offers a pop of color.